Paul Rocher is an agent with British Intelligence. Known as the Red Wolf of Arabia, Rocher, though an Englishman, is every bit an Arab. His knowledge of the terrain of the Arabian Peninsula is certainly as good as its citizens and usually considerably better. While it is never expressly stated that he has been to virtually every community on that huge tract of land, it would be a safe bet based on his displayed experience to go with his having come close. This includes the holy cities of Mecca and Medina, the former being supposedly off limits to nonbelievers. Despite there being a good number of short adventures written about Rocher, he is surpisingly a mystery. How he came to be so firmly entrenched in the Middle East is never explained and how he got so well connected with the powers that be in so many parts of the region is also unknown. What is known is that he is both of those - entrenched and well connected. British governors and local police commanders routinely ask for his help and in return often readily provide their resources. Still, most of the missions that Rocher undertakes invariably putting himself in harm's way and occasionally paying for it. When not chasing down gun runners or saboteurs or assassins, Rocher is often found in establishments where he can either enjoy listening to good music on the piano or, if no is available, providing it himself. From the comments made by others, Rocher is very much a virtuoso and apparently had career potential in that industry. It is hard to imagine, though, Rocher living in a city for long as his love of the immensely open deserts like the Sahara in Africa and the Empty Quarter in Saudi Arabia is just too great. One very important fact about Rocher is the reason for his being known as the Red Wolf. Though Rocher's skin is naturally darkened by so many years spent in the sun, his bright red hair shows instantly that he is not from around these parts and there are more than one occasion when having his keffiyeh pulled off his head has revealed his identity. Invariably, he takes such dangers with a customary laugh at both himself and his fates. Note: in the American versions, the man was known as Paul Rodgers but since the British versions came technically first, that is the name I have chosen to use. Collection of 7 stories, 5 of which are definitely about Paul Rocher. Collection of 13 stories, 5 of which are definitely about Paul Rocher. Subtitled The Collected Adventures of the Red Wolf of Arabia. It contains the 31 stories mentioned in the Novella section. First published in Blue Book and in Pearson's Magazine, November 1932. It had become a very public secret that anarchists were intending to kill the visiting King but Paul Rocher, looking into who the assassins were, learns their leader is a woman with exceptional skills. First published in Blue Book and in Pearson's Magazine, December 1932. When Paul Rocher met the Dutchman and learned he sold bedsteads, he was polite but amused. When he learned a desert sheik has ordered 60+ for his harem, Rocher got suspicious. 60-some metal beds in the desert? It was too much a curiosity for Rocher to pass. First published in Blue Book and in Pearson's Magazine, January 1933. The British warship transporting Paul Rocher to Port Sudan narrowly missed a darkened dhow in the Red Sea and then it was gone. When Rocher learned this was not the first such occurrence, he wonder what the dhow was doing and he definitely did not like the answer. First published in Blue Book, February 1933. First published in Pearson's Magazine, February 1933, and Blue Book, March 1933. First published in Blue Book and in Pearson's Magazine, April 1933. First published in Pearson's Magazine, Mar 1933, and Blue Book, May 1933. First published in Blue Book, June 1933. First published in Blue Book, December 1933. First published in Blue Book, February 1934. First published in Blue Book, March 1934. First published in Blue Book April 1934. First published in Blue Book, August 1934. 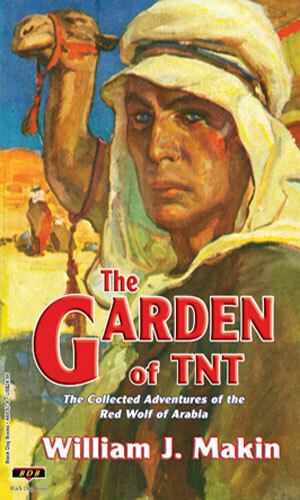 First published in Blue BookK, September 1934. First published in Blue Book, November 1934. First published in Blue Book, March 1935. First published in Blue Book, June 1935. First published in Blue Book, September 1935. First published in Blue Book, December 1935. First published in Blue Book, April 1936. First published in Blue Book, August 1937. First published in Blue Book, January 1938. First published in Blue Book, April 1938. First published in Blue Book, May 1938. First published in Blue Book, October 1939. First published in Blue Book, December 1939. First published in Blue Book, March 1940. First published in Blue Book, April 1940. First published in Blue Book, November 1944. I totally adored this series. I state that up front so there is no confusion. 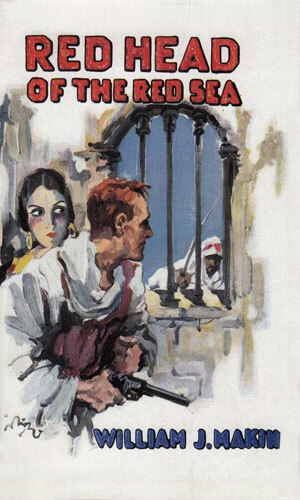 These are spy stories as well as terrific adventure tales and having spent a moderate amount of time in the Middle East eons ago, I love the settings for them. Now, I never visited any of the exotic sites that Rocher deals in but the author definitely lets me think I was there, albeit 50 years ago. Now this is NOT a quibble. This British agent has flaming red hair, a most definite tell, and even though he often keeps his head covered, when he is not he is instantly recognized. He takes this as it comes and that becomes an endearing aspect to the stories. I mean, he has such a ho-hum reaction to being unmasked. I am pleased that the collection of Paul Rocher stories have been re-released. I wish it was also in ebook format and perhaps someday it will be but these are darn good stories and worth reading.